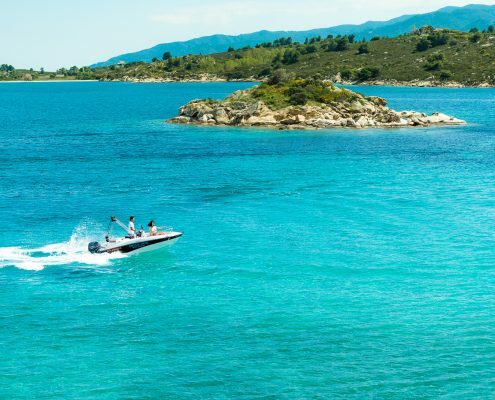 Dream Swim, located in Vourvourou, has the safest and most modern boat fleet and is one of the best choices to rent a boat Halkidiki. No license is required for our boats carrying a 30hp engine. 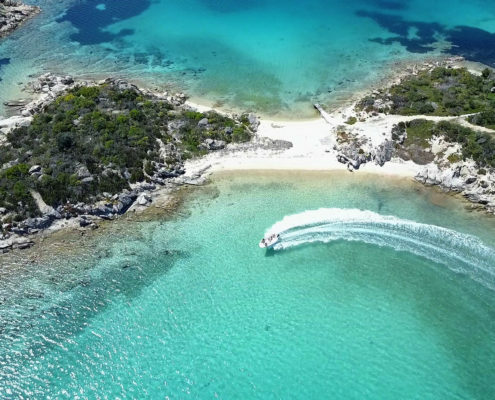 Experience the thrill of piloting your very own private speed boat while navigating along the majestic Sithonia’s coastline and the cluster of the Vourvourou islands. Even if you have never piloted a boat before, there is no need to worry as our detailed briefing and our easy to operate boats will make boating a fun and trouble-free experience. If you are a licensed boat operator, we offer you an additional wide variety of boats that you can charter for one or more days and sail further away. Spend a day exploring Ammouliani and Drenia islands, reach the famous Kavourotrypes beach or make a tour around the glorious Holy Mountain and take photos of the amazing “castle-like” monasteries. For even more experienced captains, we suggest to point south and after 50 nautical miles to reach and discover the unspoiled scenery of the Sporades Islands and the Marine Wildlife Park. Either you have a license or not, you always have the option to enjoy a perfect ride, leaving all the practical issues to our professional skippers. They will take care of the boat and navigation, providing first hand knowledge regarding your destinations and recommending the little known spots that will make boating in Greece an even more amazing experience. If boating is something you have always wanted to try and you’re looking to rent a boat in Vourvourou, then choose the option that suits better your needs and reserve your boat! 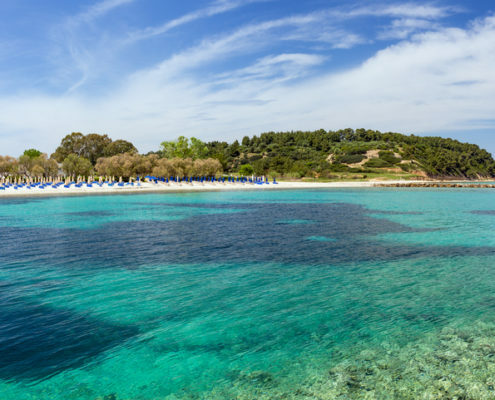 The best beaches in Greece can be reached only by boat. Chalkidiki could not be an exception. Renting a boat, a unique experience nobody should miss! https://www.dreamswim.gr/wp-content/uploads/2017/11/DJI_0062-04972.jpg 1530 2720 https://www.dreamswim.gr/wp-content/uploads/2017/02/logo.png 2017-11-09 12:49:022018-01-29 08:54:59Renting a boat, a unique experience nobody should miss!